1. After seeking the advice from the youth to join politics, Shah Faesal today sought crowd sourcing for floating an independent party. 2. A massive snow-clearance operation is underway to restore the 270-km Jammu-Srinagar National Highway which remained closed for the third consecutive day today. 3. 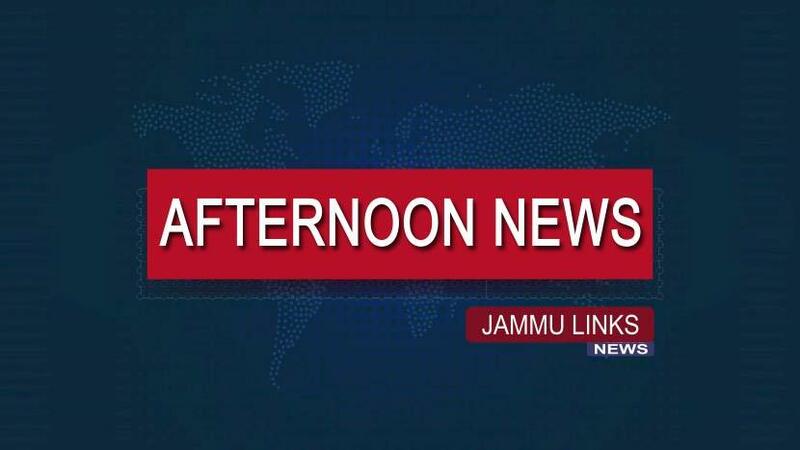 After three days of widespread rain and heavy snowfall, weather across J&K improved today as the western disturbance over the state eased off. 4. The Supreme Court has granted bail to four convicts in the Naroda Patiya massacre in which 97 people were killed during the 2002 Gujarat riots. 5. The Maharashtra Anti-Terrorism Squad today arrested nine people from Thane and Aurangabad for their alleged links with banned terror outfit ISIS. 6. PM Narendra Modi today inaugurated museums including Subhash Chandra Bose and Yaad-e-Jallian museum at Red Fort complex. 7. Facing stiff opposition from relatives for offering prayers at the Sabarimala temple, Kanakadurga finds the doors of her house locked for her. 8. Priyanka Gandhi Vadra was today appointed Congress General Secretary for Uttar Pradesh East, while Jyotiraditya Scindia was appointed Congress General Secretary for Uttar Pradesh West.